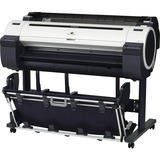 The Canon imagePROGRAF iPF770 36-inch large format printer is an affordable model for entry-level users. 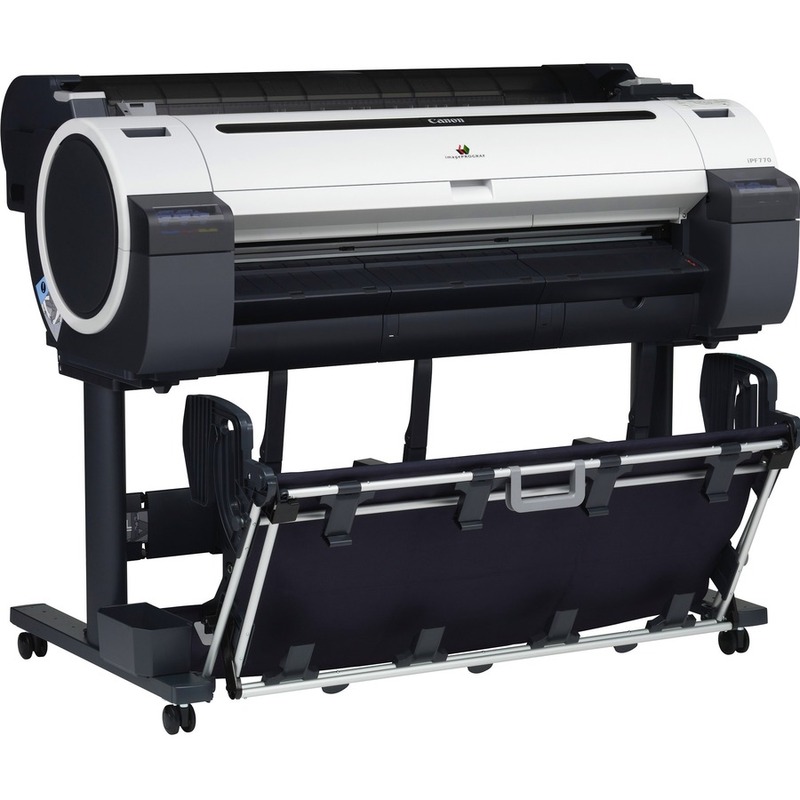 The iPF770 is the printer for your poster and signage needs, the optimal color profile and latest magenta ink will create the vivid and impactful image you need. 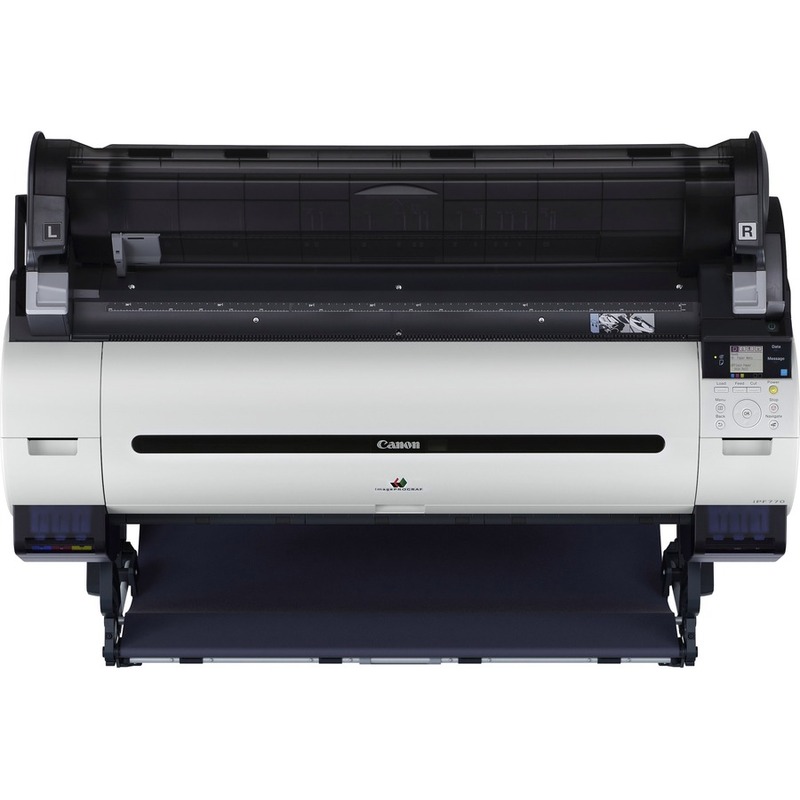 Canon understands speed is important, that is why the iPF770 printer is capable of producing an A1 (23.39" x33.11") print in 25 seconds using Economy Mode! 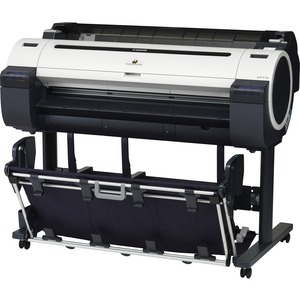 The included Sub-ink tank system allows you to use all of the ink in the tank before replacing it, as while as replacing an empty ink tanks on-the-fly without stopping a job mid-print and sacrifice print quality. From a software perspective, the iPF770 printer comes loaded with user-friendly software solutions ready to meet your printing needs. Direct Print & Share, Canon's cloud portal solution, is available as a download and allows for files to be uploaded, downloaded, shared and printed from almost anywhere in the world! Also downloadable is a mobile printing app, imagePROGRAF Print Utility, which allows for PDFs to be printed through use of an Apple® iPad®. The Accounting Manager software allows you to track job costs, while the Print Plug-in for Microsoft Office enables for documents created with Word, Excel or PowerPoint to be easily printed in large format. Creating custom signage has never been easier with Canon's included PosterArtist Lite poster creation software, this easy-to-use software will have you creating professional large format prints quickly in just four easy to follow steps. 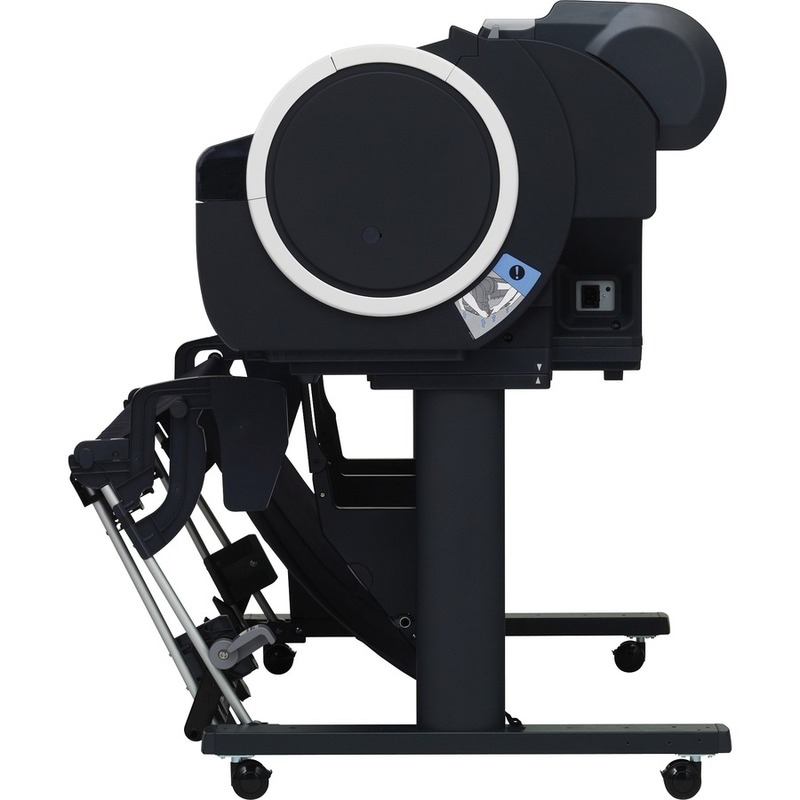 To improve versatility, the iPF770 printer has a Media Configuration Tool that will give you optimal usage of your Canon-branded media when creating your desired output.